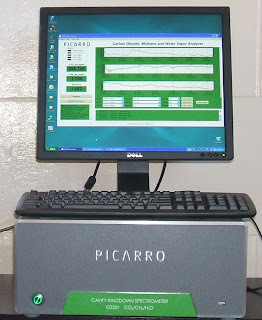 Cape Town Carbon Observatory: Picarros are a Twitter!! Want to know more about the current carbon dioxide conditions around the City of Cape Town? Well, if you're on twitter, who can get hourly updates of the current concentrations. 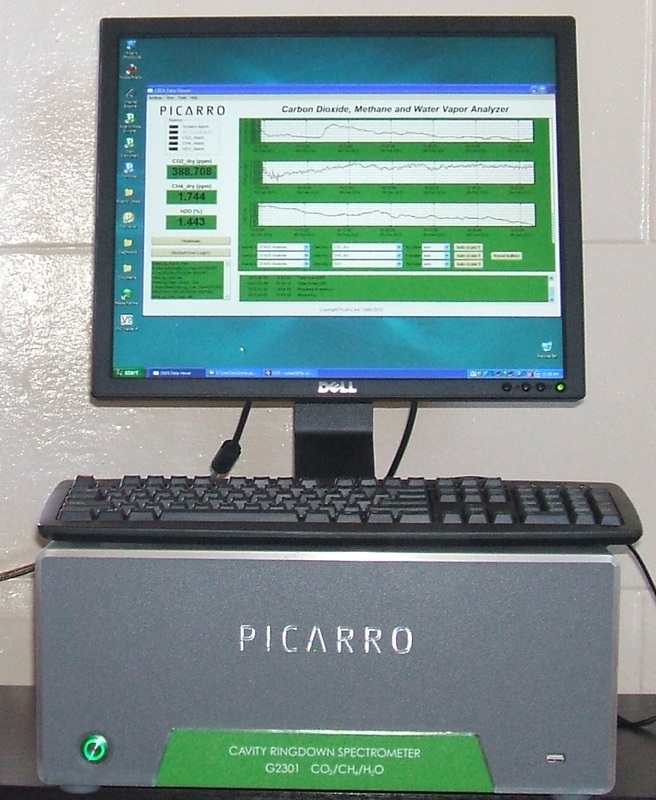 Very soon these instruments will also be tweeting the approximate emissions coming out of the city and surrounding areas. At the moment, the instruments are tweeting their observed carbon dioxide concentrations, but when we take into account some basic weather data, we'll be able to tell a more interesting story! Follow @CapeCarbon to get these updates!! !